LONDON (Reuters) – Chelsea have agreed terms with Brazil’s Fluminense for the transfer of 18-year-old defender Wallace, the Premier League club said on Tuesday. Wallace, a Brazil under-20 international, was part of the under-17 team that won the South American championship last year and were fourth at the World Cup at the same level. He made his senior debut at 17 and helped Fluminense win the Brazilian league championship, the Rio State League and the Guanabara Cup. He will officially join Chelsea in the January transfer window but will remain with Fluminense until the end of the season. Brazil – Denmark, FIFA U-17 World Cup Mexico 2011: Though their opener had some luck about it, Brazil’s second and third, scored by Ademilson and Wallace, were delightful. 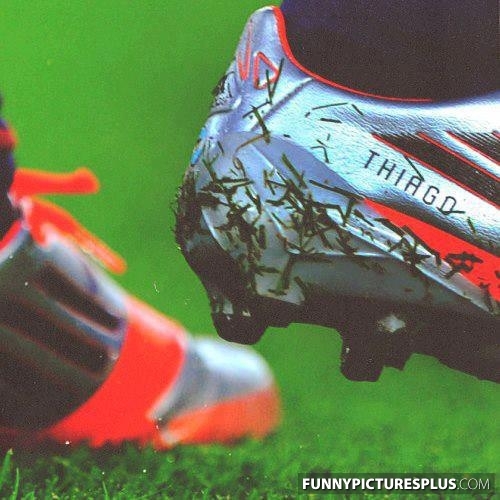 Football. Why do we do it? Why do we have to kick it? Why does it mean so much to us? And why can we never stop playing it? Because it’s in our nature to perform. And the better we perform, the more we enjoy it. So now that we’ve taken the mystical journey into the human spirit, what have we discovered? Speed, Power and Control – this is the holy trinity of the Nature of Performance. Every footballer is born to play with one of these characteristics. And we design boots to take each of these elements to the next level. Agüero has always been a Speed Junkie. Quick mind, lightning fast feet and the ability to beat defenders into the space – speed is in his blood. If it’s in your nature to be first to every 50/50 ball and leave the opposition in the dust, the new lightweight and responsive evoSPEED is the boot for you. Born in Guinea in 1986, Traore’s biography on his official website claims his passion for football began when he was a young child playing on his local streets. He then moved to France in 2000 and after being dropped from Paris St Germain, took to performing for crowds all over the country. Bragging rights are on the line at Selhurst Park this weekend as npower Championship rivals Crystal Palace and Brighton and Hove Albion go head-to-head. With both sides eyeing promotion to the Premier League this term, the match promises to be a real cracker. Here, we preview the encounter with the help of a fan from each club. Take a look at these rising stars and decide who you think is the best npower Championship player. Reports suggest that Chelsea are looking to add Brazilian star Bernard to their ranks and rate the player highly. Bernard who plays his football in Brazil for Atletico Mineiro is considered to be similar to Chelsea’s latest star Oscar. As a 19-year-old Bernard was linked to a handful of clubs in Russia and Qatar and is currently thought to be on Liverpool’s radar. In a recent interview with Globo Esporte he revealed that several European clubs—the names of which he would not reveal—had made enquiries as to his signature and admitted that he might be tempted to make a move in the January transfer window. “If there is any interest at the end of the [Brazilian] season and it is in the interests of both parties, let’s talk,” he said. Enzo Zidane trained for the first time with the first team of Real Madrid in Valdebebas Sports City. Zinedine’s son is 16 years old and plays for Real Madrid C in the youth squads of the white club when he has played in all ranks. Mourinho welcomed Enzo Zidane before the start of training and was well embraced by peers, especially by youth players as Morata and Alex Fernandez, who also attended the training session, and his father, director of the first team who was in Valdebebas. Enzo Zidane performed the same exercises as the rest of the squad in the open part of the training. The young player has not made ​​a decision on whether to play for the national teams of Spain or France. Ajax coach Ronald de Boer has suggested that it would be impossible to keep star midfielder Christian Eriksen if a big money offer arrived. “I think he is a player for Madrid or Barcelona but I think one more year at Ajax wouldn’t hurt him. Although that’s difficult – I can’t predict next year he will be at us. Taking to his twitter account Agüero gleefully tweeted the picture of the pair holding the shirt, bearing the number of Thiago’s father. Thiago has already been made a member of Messi’s boyhood team Newell’s Old Boys’ supporters club and has also been snapped in a Barça shirt. 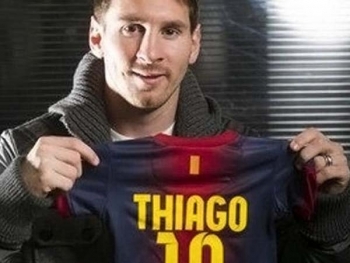 Much is expected from the newborn because of who is father is, but having been born in Spain, Thiago is eligible to play for both Argentina and the country his dad plays football in for Barcelona. 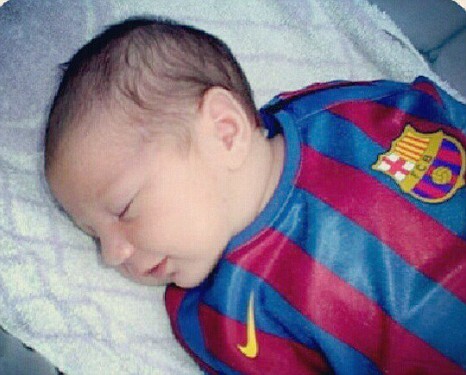 After his birth had been announced it seemed Messi’s club and international teammates were already trying to suggest who the baby boy should represent.